Creating Really Awesome Free Trips: Detroit, MI - C.R.A.F.T. Hi! I’m Amy from Serving Pink Lemonade. My sister Jeanine and I created our little corner of the blogging world to share some of the fun things we do with our kids to keep them busy and happy. At Serving Pink Lemonade you can find kid crafts and food crafts, homemade toys, learning games, book reviews, travel ideas, projects just for mom, and more. We’d love for you to stop by! My husband and I have lived in the Motor City for almost four years now, and we LOVE it! I’m originally from way out west so this part of the country is new to me, but I don’t think I’ll ever get tired of it or run out of things to do and see. Michigan is so full of history and culture. We’ve really enjoyed exploring it! It was hard to pick only ten things to highlight here today. I hope you enjoy them. We have. I love the museum adventure pass program that they have at the local libraries here. This is how the museum adventure pass works. 2. 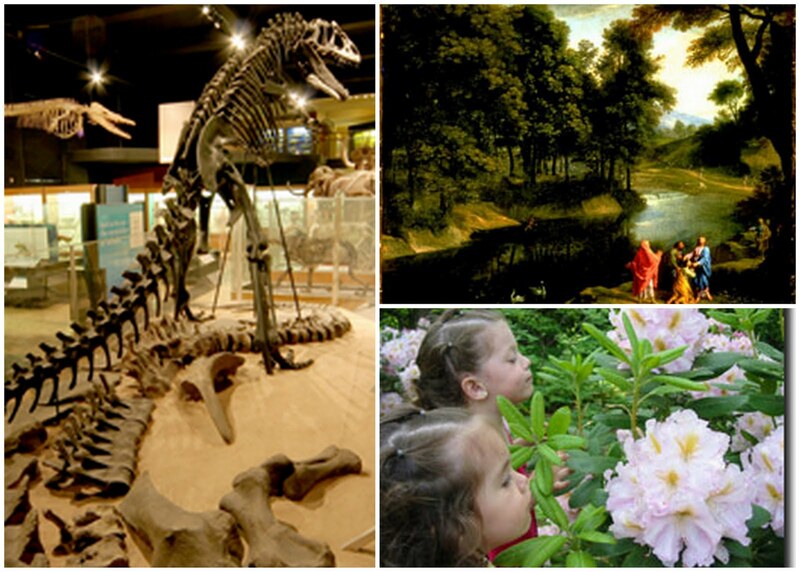 Check out a museum pass just as you would a book, with your valid library card. 3. Passes are good for either 2 or 4 free admissions, depending on the museum. 4. The pass is good for one week. 5. You don’t need to return the pass to the library. 6. The pass is for general admission only, special events and exhibits are not included. If you live in the Detroit area this is something that you should definitely take advantage of, and if you’re from out of state and visiting friends or family in the area be sure to have them check out an adventure pass for you. Every year our family loves to head to downtown Plymouth to see all the incredible ice sculptures. Despite the freezing temperatures we always have so much fun and are amazed at what can be created from a block of ice. Created specifically for the love of winter, the Plymouth Ice Festival features over 100 ice sculptures, live music and entertainment, interactive family shows, winter themed tasty treats and a variety of additional events to interest all ages. 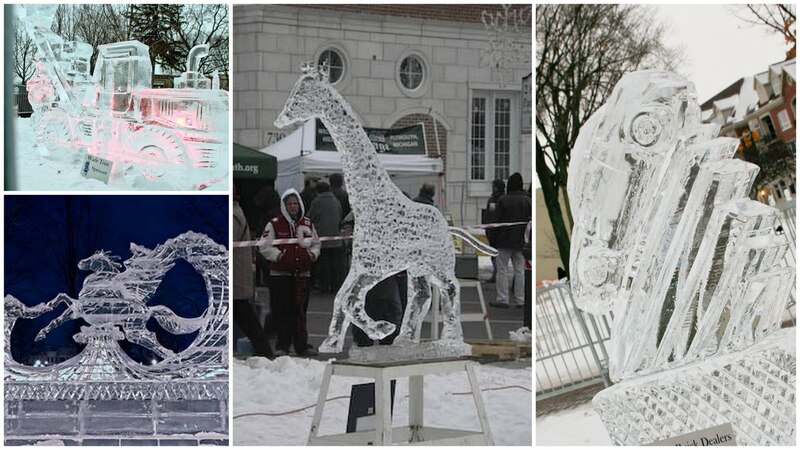 The Plymouth Ice Festival has ranked among the top ice festivals in the United States and around 100,000 people attend the three-day event every year. Visit plymouthicefestival.org for more information. Despite what you may think the Henry Ford museum is not about Henry Ford. It is about America, and it is incredible! A must see when visiting Detroit. One day is not nearly enough when visiting this museum, which also includes Greenfield Village (also a must see!) and the Rouge Factory. It is the nations largest indoor-outdoor history museum complex. We frequent the Henry Ford on an almost weekly basis (my husband works across the street so I take the kids to play for a few hours at the museum and then we meet him for lunch). We never get tired of it, and we still haven’t seen everything! 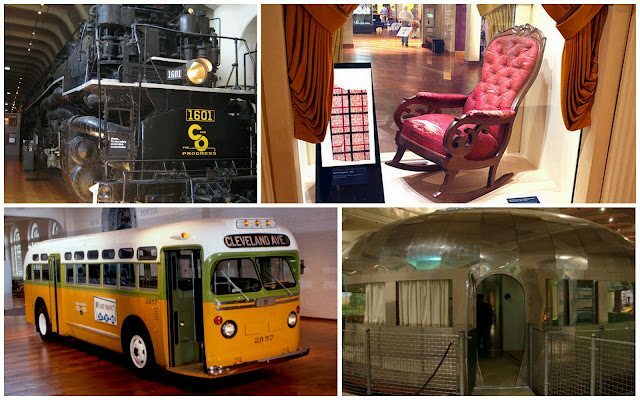 This museum is not typically free, but I’ll let you in on a little secret and give you just one more reason to love Target (do you really need another reason to love Target?). Target sponsors four days throughout the year which allows free admission and parking to everyone! So if you plan it right you can see the museum with no cost to you. Visit HERE for dates and more information. If you really want to visit Detroit-Detroit then the riverfront is a good place to do it at. You can walk along the river, visit shops, take a bike ride, fish, go to the Gabriel Richard butterfly park, and most of all enjoy the downtown atmosphere. If you head down to the riverfront at the end of June then you’re in for a big treat. 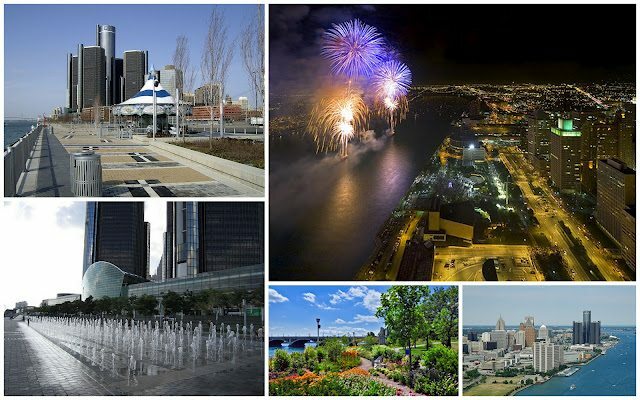 The last Monday in June is the Windsor-Detroit International Freedom Festival. This celebrates both Canada’s and America’s Independence day and ends with the worlds largest fireworks display over the river. Something you don’t want to miss! The Scrap Box is located in Ann Arbor and is a fun place to know about if you have kids who never get tried of crafting, like mine do. There you will find a large assortment of unique materials which manufacturers and businesses would otherwise send to landfills (remnants, samples, seconds, scraps). 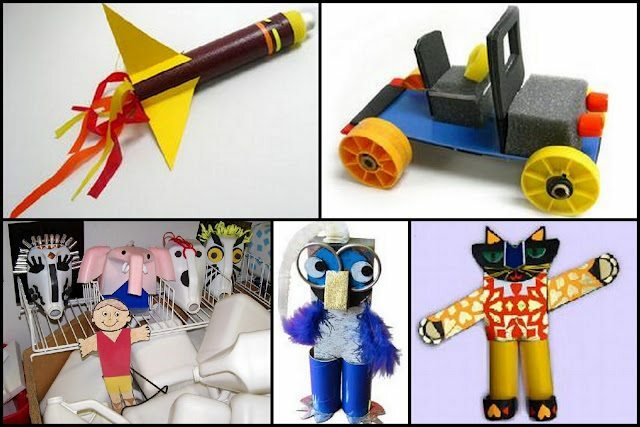 This good “junk” can be recycled into useful materials for art classes, learning games, science experiments, crafts, or anything else you can think of. My kids love this place! They get to go through all kinds of “really cool stuff” and create whatever they want. It’s great to see what their imagination comes up with. For a small fee you can also fill a bag full of supplies of your choice to take home with you. When most people think of apples they probably think of Washington state, but Michigan also grows their fair share of apples, and that is why we LOVE Michigan in the fall. The cider mills are so much fun to visit. 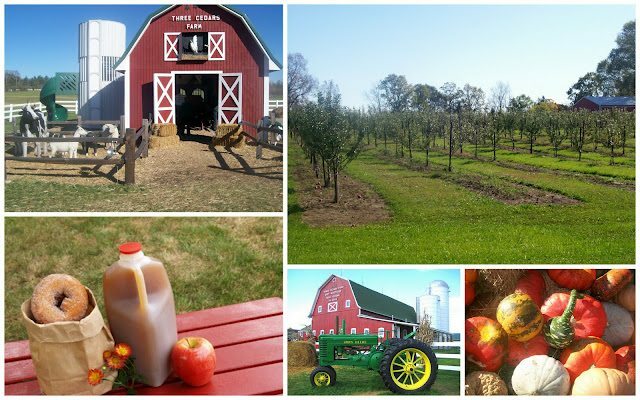 They have petting zoos, play areas for the kids, and pumpkin patches. Of course you can’t leave without buying some apple cider and donuts–it’s become a tradition in our family. Not quite in Detroit but worth the short drive. 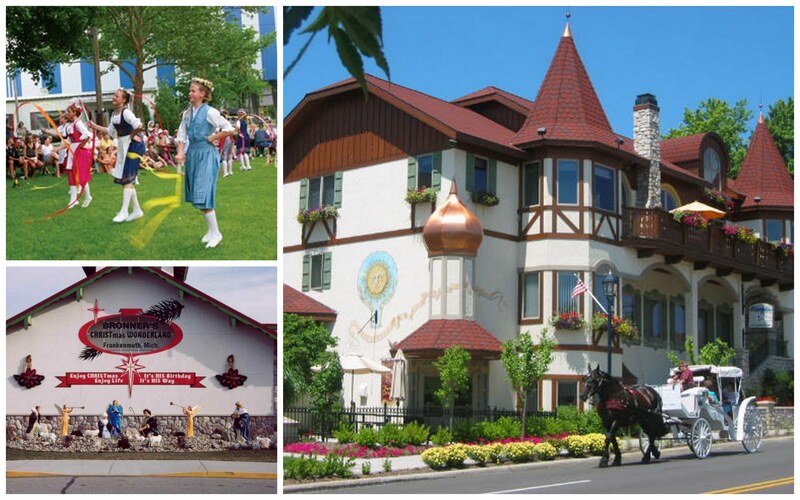 Frankenmuth is full of fun shops, yummy food, entertainment, and festivities year round. The town by itself is a little treasure, but even more, this is where you will find the worlds largest Christmas store–Bronner’s Christmas Wonderland. Just image what your kids will think of it! Our family ventured up there a few years ago and the look on my daughters face and her wide eyes as we explored the store were priceless. This is an awesome event that could only be found in the motor city. Every year on the third Saturday in August over one million people come to see the classic cars that come from all over the globe for this event. All day long you can view classic cars riding up and down Woodward Avenue. If you’re a car lover then this is something that you’ve got to do at least once. 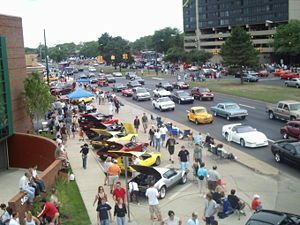 A few years back when we were new to Detroit and I knew nothing about the Woodward Dream Cruise my husband and I just happened upon it. It was a treat and a surprise, but also a lot of unexpected traffic! 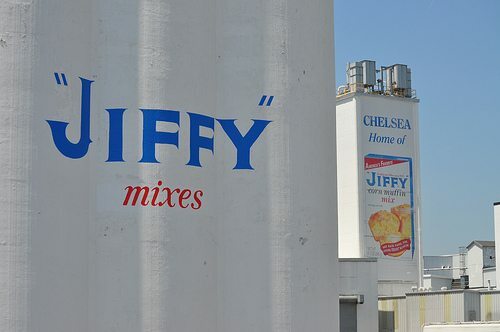 You know Jiffy . . . that makes muffin and brownie and cornbread mixes. Chelsea, MI is where all the Jiffy stuff happens. You can take the kids on a free tour (if they’re over age six), where you get to learn all about the factory, take a walk through the plant, and have some yummy refreshments. What a neat experience! I LOVE this series. I am so excited to take my kids and explore the country! !